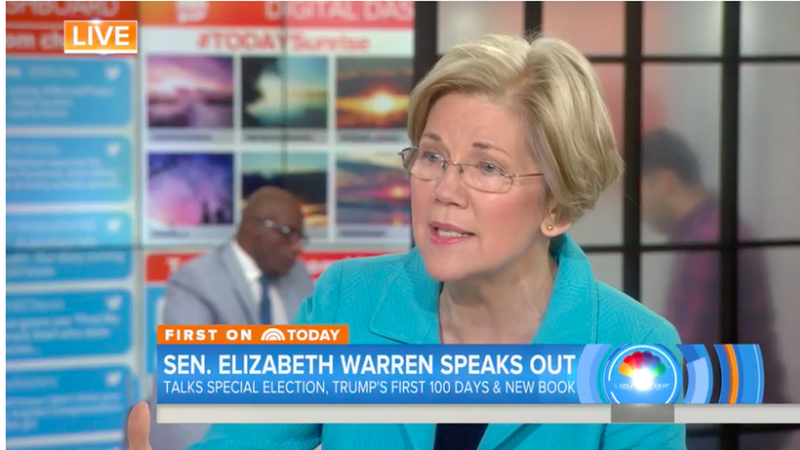 Senator Elizabeth Warren told TODAY's Matt Lauer and Savannah Guthrie that she does not intend to run for president, but she does intend to run for reelection in Massachusetts. When Lauer pressed about a potential POTUS campaign, stating that "a lot of people are already printing those bumper stickers that say 'she was warned, she was given an explanation, nevertheless she persisted.'" Warren simply gave him a tight-lipped smile in return.